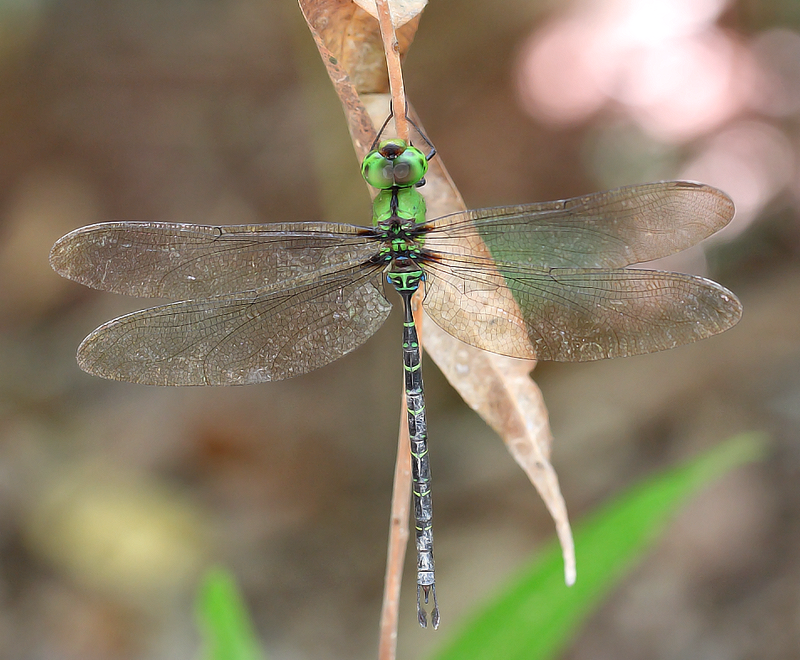 Gynacantha subinterrupta – female ovipositing!! 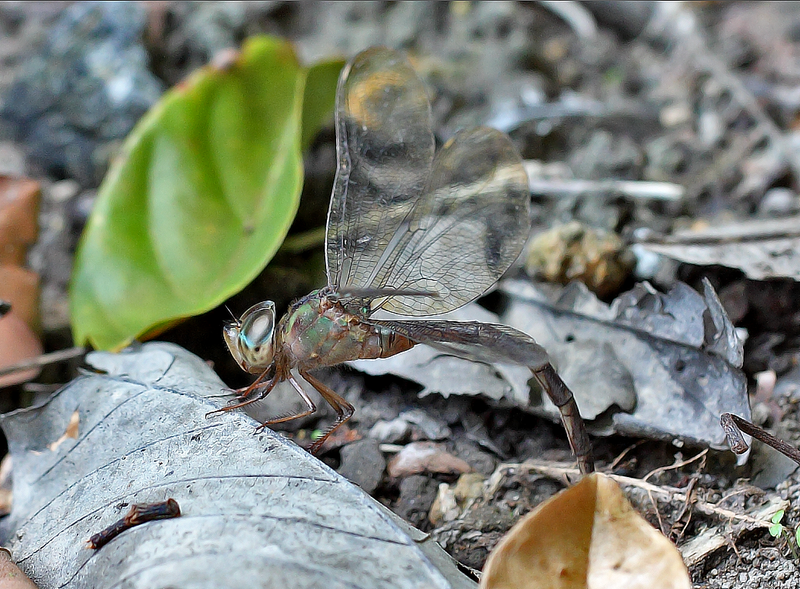 This female Gynacantha subinterrupta oviposits by touching the surface of a substrate, in this case, soil and lay her eggs and flying to another spot repeating the same action. 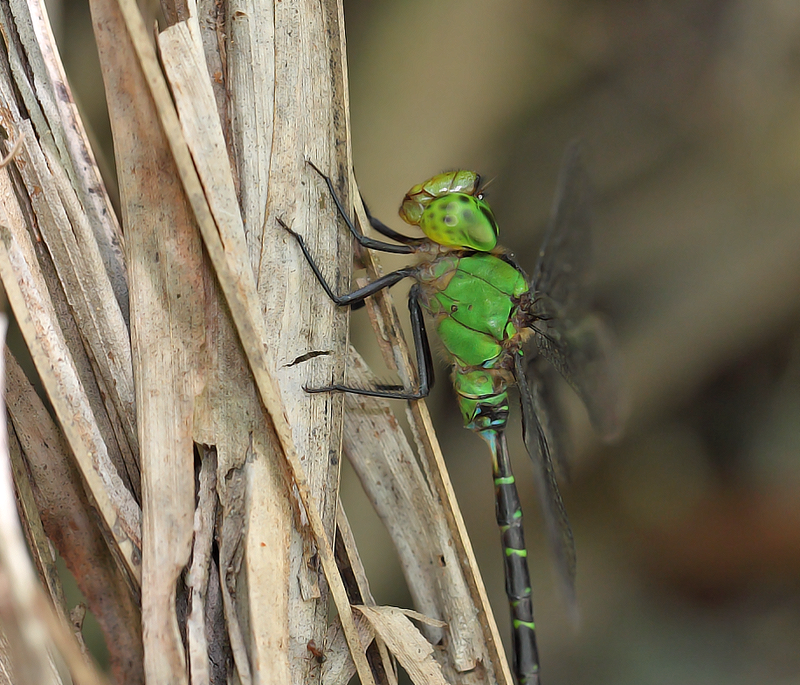 See the female in Action! The forest floor is littered with fallen leaves, seeds, tree trunk and branches. A great spot for the female to lay her eggs. The whole place will be flooded when the rain comes. A side profile of her in action. The shot is taken under very dim lighting. She chose a spot underneath a fallen tree trunk. 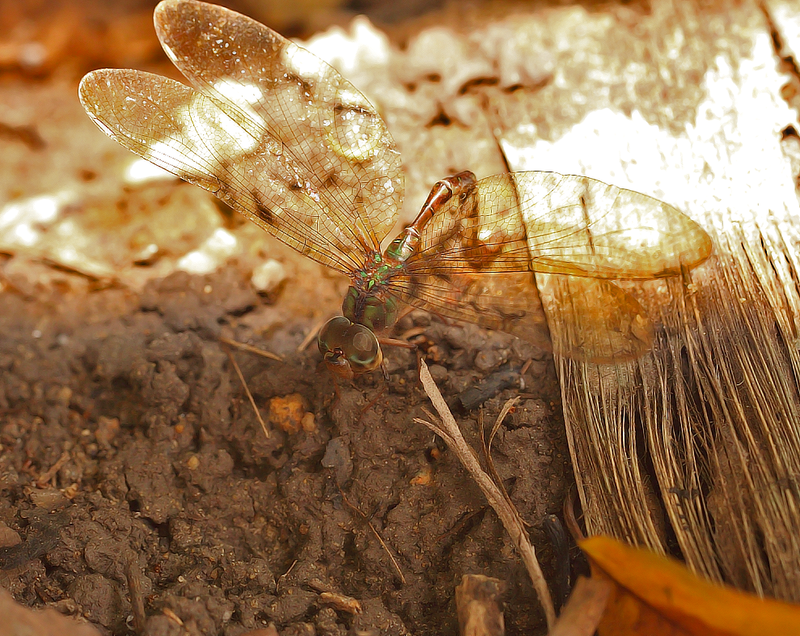 Curling up her abdomen and oviposits into the soil substrate. She did her egg’s laying all by herself. No male is seen guarding her when she oviposits. This place is flooded the next day after a torrential rain. 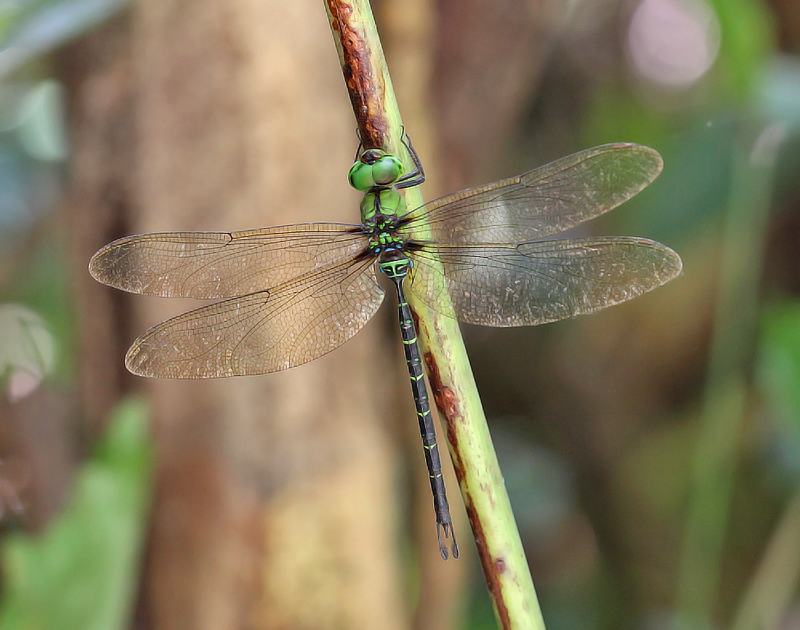 Gynacantha basiguttata Selys, 1882 – A Male Galore! 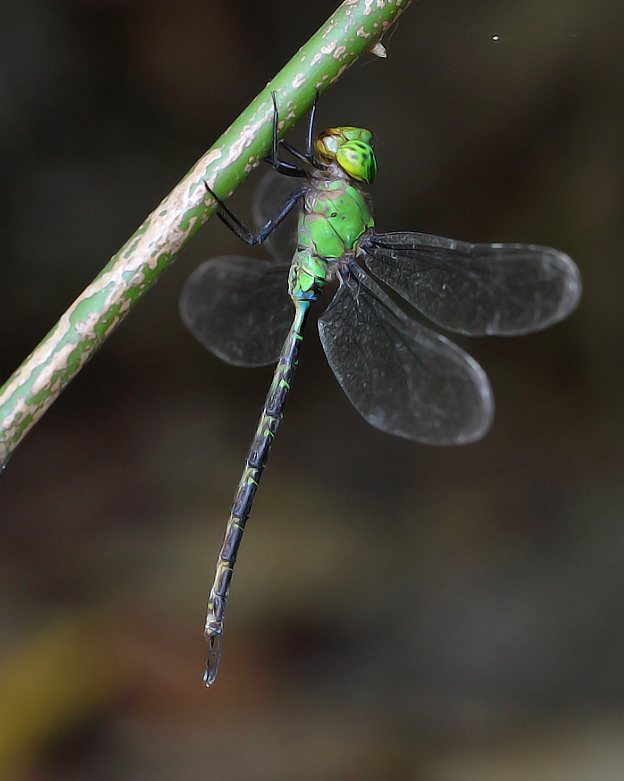 Gynacantha basiguttata is a large forest-dwelling species of dragonfly which is rarely seen in Singapore. 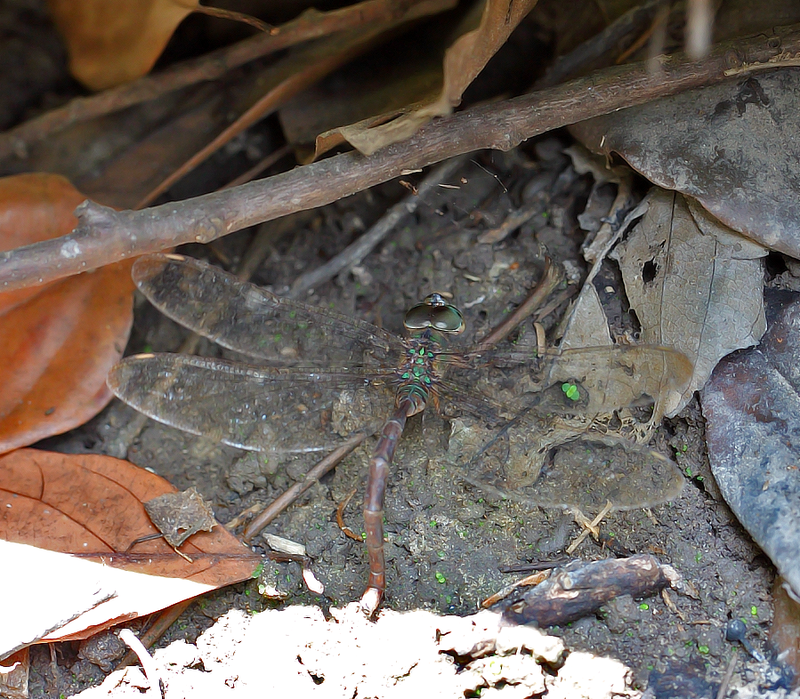 During the recent dry spell, I have encountered at least four males guarding their own territory in the dry forest pool. Each male perched on their favourite spot which overlook it’s territory. When there is intrusion of the same species male, the territory male will drive away the intruder and return to it’s favourite perch. The male will stay in their territories for days in anticipation for the arrival of the female. Sometimes very close and violent contact among males do occurred where the sound of wings clasping could be heard. 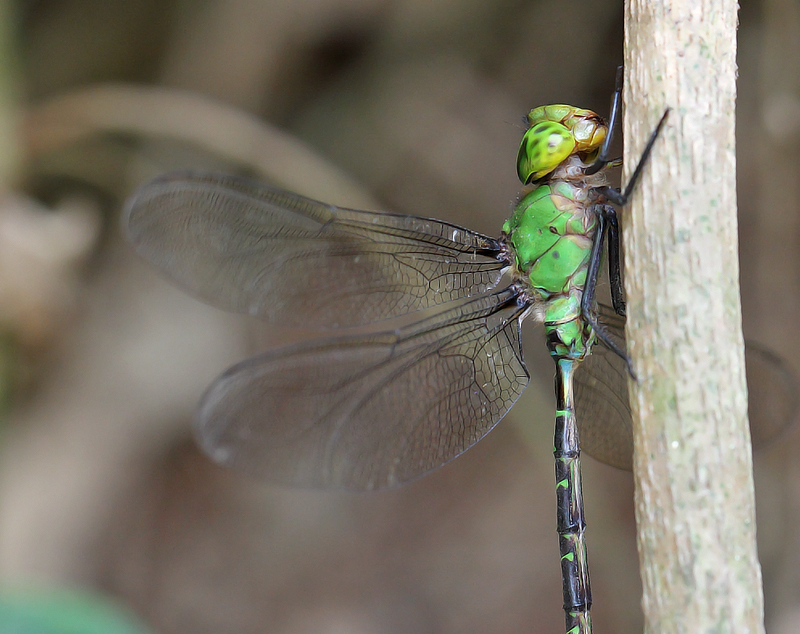 Male no.1 – resting under a fallen tree trunk. Male no. 1 – dorsal view. 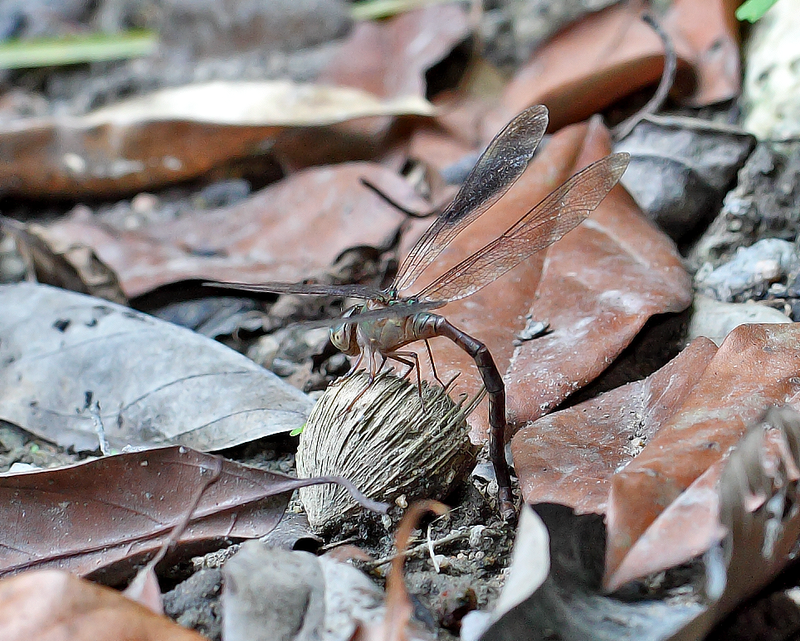 Notice the mud stricken abdomen. Male no.2 – A slightly young individual. 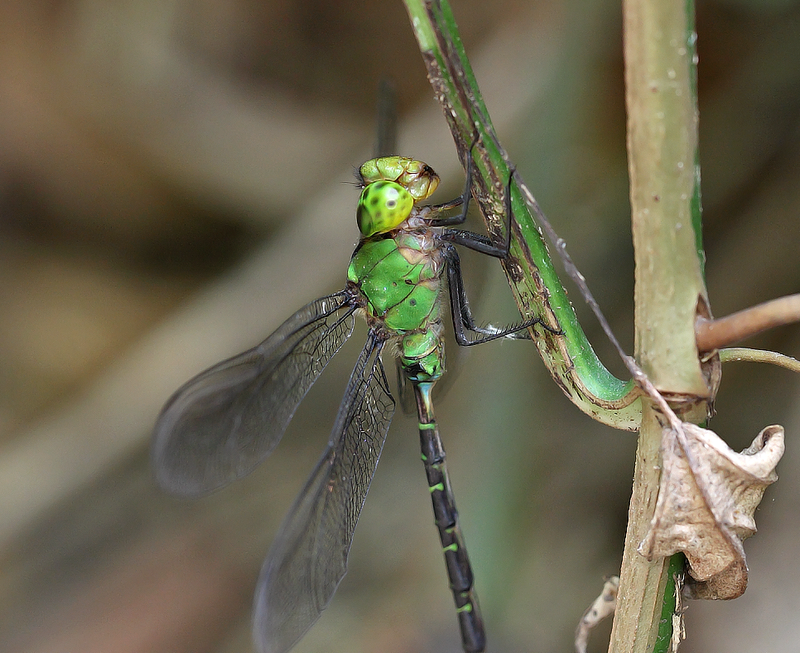 Male no.3 – Matured male with slightly worn wings. Male no.4 – Young and “fresh” male individual. Wings are clear. 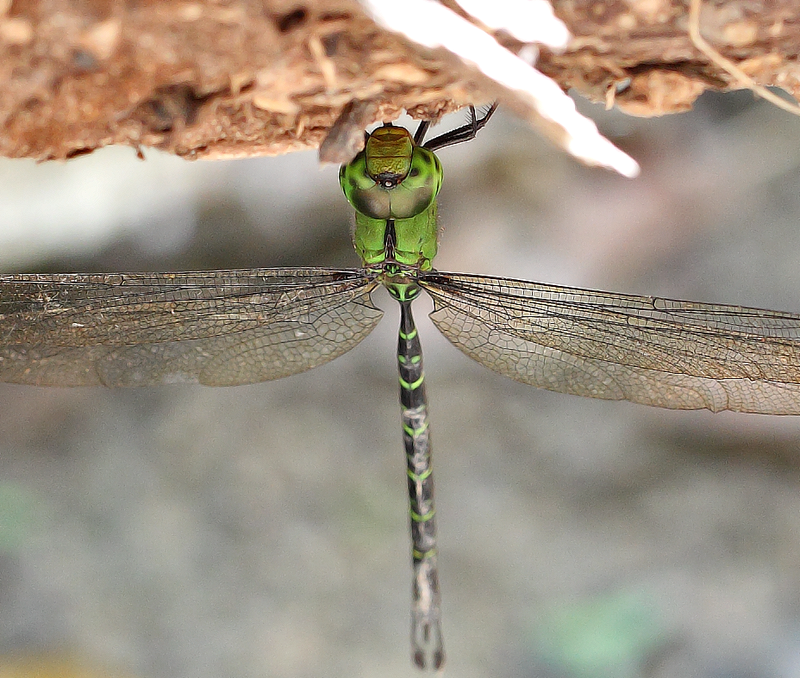 A close lateral view – showing great details of the head and thorax. 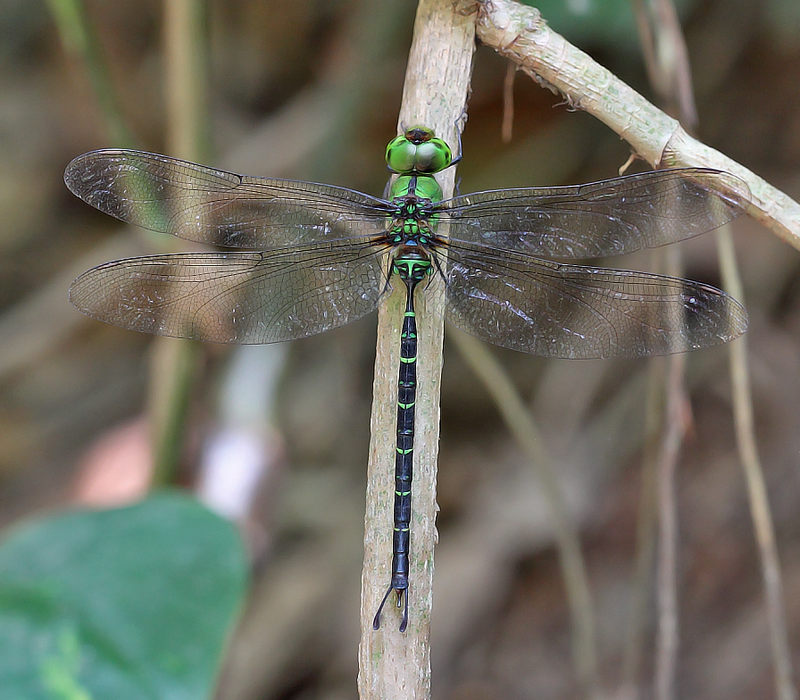 This time round I did not notice any females around, although I have seen female of another hawker species, Gynacantha dohrni. 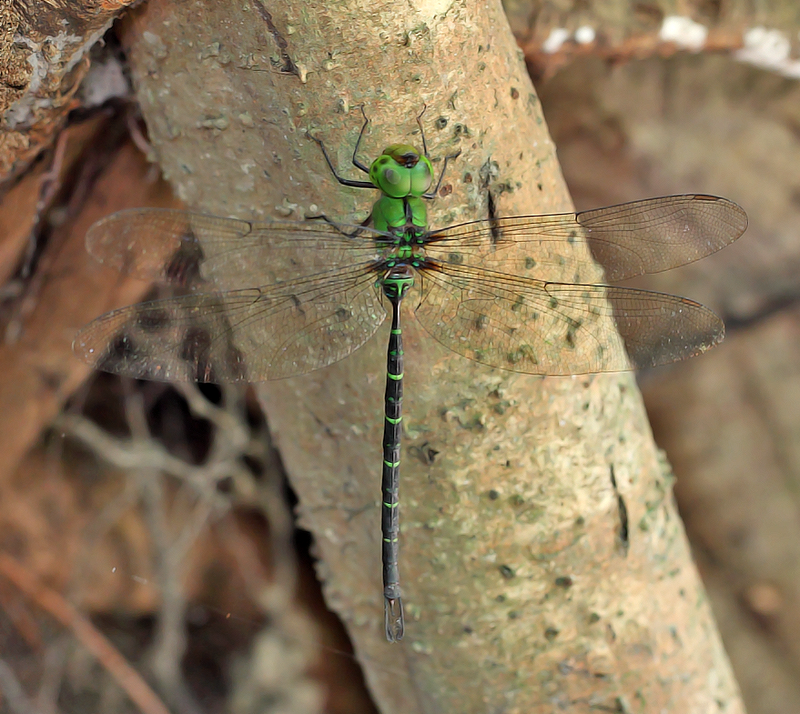 When female arrives, they will mate with the male and then proceed to lay their eggs in the forest floor, before the rain arrives and flooded the forest floor.